Kokkari holidays take you to a large, popular resort ten kilometres from Samos Town on the breezy northern coast of the island. It lies in an area of great natural beauty and offers a choice of beaches and sheltered coves. 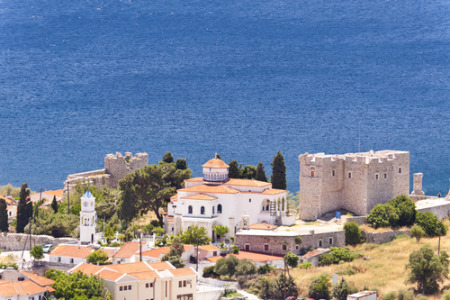 Holidays to Kokkari are enjoyed by many, as there is a wide choice of recreational activities. Conditions here are ideal for water sports, particularly sailing, surfing and kite surfing. Holidays in Kokkari can be taken from April to the end of October with temperatures rising from twenty to thirty at the height of the season. If you want a change from inclement weather, in a resort providing fun-filled days and lively evenings, you may find our cheap Kokkari holidays enticing. Our Kokkari holiday bargains are considered great value as our commitment to standards remains high. There is a good choice of accommodation, restaurants and tavernas serving cuisine to suit all tastes and fairly good shopping. Those for whom shopping is an essential part of a holiday can take the short bus ride to Samos Town where there are shops galore. To discover our latest Kokkari holiday deals please use the search facility.